To organize a festival on a shoestring budget and a team of two people is a daunting challenge. An event with such a diversity of proposals for exhibitions would call for a keen organizational structure that is both clear and comprehensible. 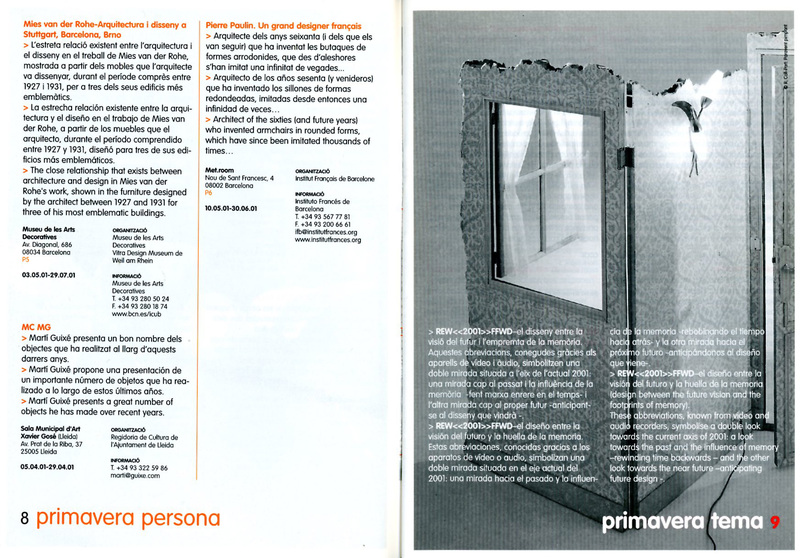 The programme of the 6th edition of the Spring Design Festival comprised 11 sections, including, Primavera Persona (biographical exhibitions), Primavera Premium (awards and competitions), Primavera made in (exhibitions of other countries’ works) etc. One of the most outstanding areas was that of Primavera Tema. Each edition of this festival had suggested a generic theme which was given special attention. 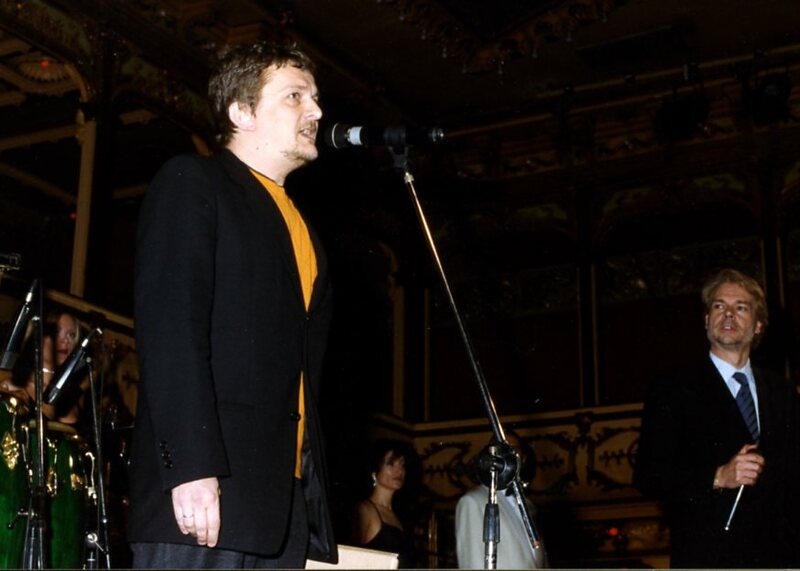 That year the theme was called REW<<2001>>FFWD – design, between the vision of the future and the traces of memory. These abbreviations, that are used in audio and video equipment, established two points of view from the situation currently experienced in 2001: one back into the past and the influence of memory- rewinding time- and the other looking to the near future – and the new trends that it would bring with it. Organizar un festival con un presupuesto más que modesto y un equipo de dos personas constituye un gran desafío. Un acontecimiento con tanta diversidad de propuestas expositivas requería una estructura organizativa clara y comprensible. 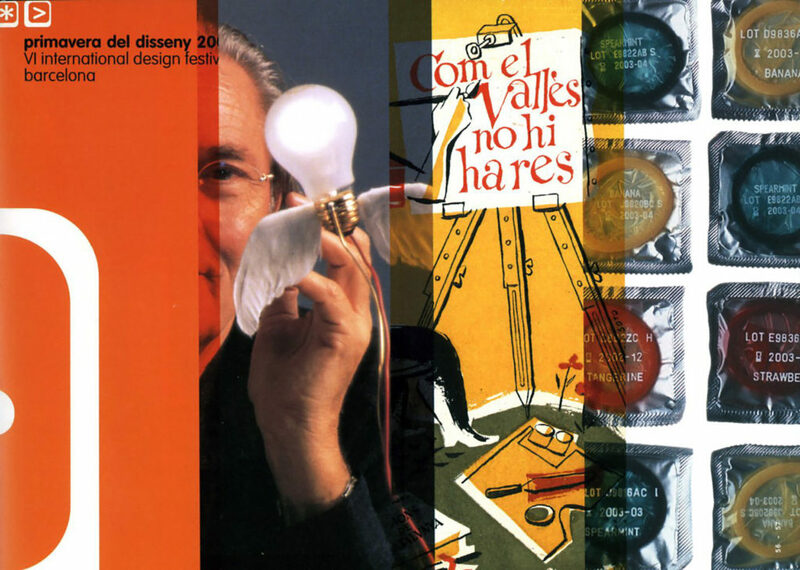 El programa de la VI edición de la Primavera del Diseño tenia 11 apartados, como por ejemplo, Primavera Persona (exposiciones biográficas), Primavera Premium (premios y concursos), Primavera made in... (exposiciones de países ajenos), etc. etc. Uno de los ámbitos más destacados fue Primavera Tema. Cada edición había propuesto un tema genérico al que prestaba especial atención. 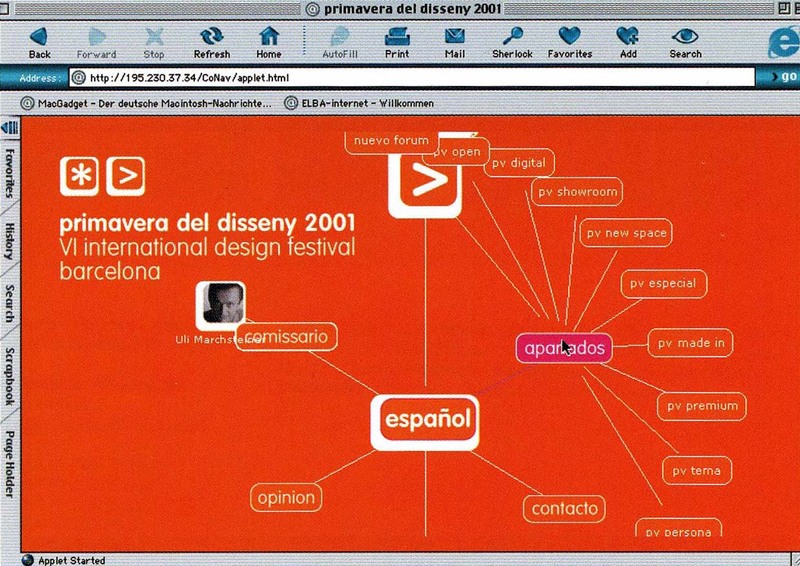 Aquel año, el tema se denominaba REW<<2001>>FFWD – el diseño, entre la visión del futuro y la huella de la memoria. Estas abreviaturas, utilizadas en los aparatos de audio o vídeo, proponían una doble mirada desde la actualidad del año 2001: una hacia el pasado y la influencia de la memoria – rebobinando el tiempo– y otra hacia el próximo futuro –anticipando las tendencias que vendrían. Ein Festival mit einem mehr als bescheidenen Budget und einem Team von zwei Personen zu organisieren, ist eine große Herausforderung. Eine Veranstaltung mit einer solchen Vielfalt von Ausstellungskonzepten erforderte eine klare und verständliche Organisationsstruktur. Das Programm der VI. Ausgabe des Primavera Festivals hatte 11 Sektionen, wie Primavera Persona (biographische Ausstellungen), Primavera Premium (Preise und Wettbewerbe), Primavera made in ... (Ausstellungen aus unterschiedlichen Ländern), etc. Eine der herausragendsten Programmbereiche war die Primavera Tema. Jede Primavera hatte ein Motto, dem besondere Aufmerksamkeit gewidmet wurde. In diesem Jahr hieß es REW << 2001 >> FFWD: Diese Abkürzungen, die in Audio- oder Videogeräten verwendet werden, haben einen wechselseitigen Blick auf die Gegenwart von 2001 geworfen: Design im Spannungsfeld zwischen Zukunftsvisionen und den Spuren der Erinnerung.